Executive Director Craig Lewis presented at this event, which took place on May 17, 2018 in Palo Alto, CA. The Clean Coalition’s Executive Director, Craig Lewis, presented on our Community Microgrid Initiative at Leadership Palo Alto’s Environment & Sustainability Day, which took place on May 17, 2018 in Palo Alto, CA. The Leadership Palo Alto program accelerates local leaders through a 10-full day immersion program over an academic year. 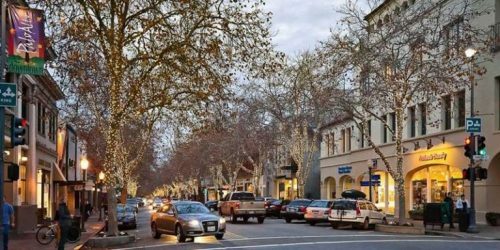 Leadership Palo Alto Fellows gain an in-depth understanding of the full spectrum of Palo Alto life, including local economic, social, and government challenges, and opportunities and trends while considering Palo Alto’s global influence.